We had a Viking sighting in another thread. I'm curious if he'll be in Rio during the olympics, and what his perspective is on a lot of the negative news reports coming out of Rio. Despite all of the potential negative news, I love the inspiring stories from athletes in sports I normally wouldn't care about. One of our local sailors (Helena Scutt) will be in the Olympics. She is one of the top sailors in the world her class. I hope she doesn't pick up some nasty diseases in the water. I am truly worried for her health. She sails the 49er FX, a small 2-man skiff, and that is a very fast and very wet ride. A story yesterday mentioned the athletes only need to ingest about 3 TBSP of water to pick up some of the horrible infections. Some of the viruses found in the sailing and rowing venue include:. Norovirus, Rotavirus, Hep A, Astrovirus, Vibrio, Cryptosporidium, etc. This doesn't even include the number of vaccine-resistant super bugs, including the awful Carbapenem-Resistant Enterobacterioceae strains. Last edited by NorthwestUteFan; 08-02-2016 at 03:29 PM. These olympics are turning out to be a total cluster. Andrew Bogut has started the Twitter hashtag #IOCLuxuryLodging to humorous results. The Onion gives us a guide to the Olympics. A must read for any traveler to Rio. Bogut leads AUS to an unexpected win over France. 18 points, 4 rebounds, and 5 assists. After tearing his ACL on the floor routine, German men's gymnast completes his pommel horse routine so his team can advance to the medal round. Amazing that he could do that after not only the physical pain, but emotional and mental pain as well. Reminds me of the time I tore my acl and mcl a year ago and then skied off the mountain to avoid the sled. We must share some kind of hero gene. Last edited by sancho; 08-07-2016 at 08:13 AM. That bike race today! High drama with the awful crash and the close finish. Ouch. US women's soccer team out of medal contention. It went to PK's, and they lost on the final kick. The 100M is a track event that gets a lot of attention. It certainly gets *my* attention. Here's an article about Jahvid Best, the former RB from Cal who is running the 100M in Rio, for St. Lucia, where he father was born. 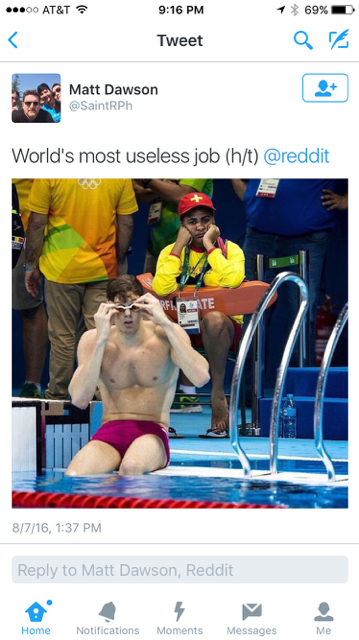 Best is not going to medal...this is the Olympics. His time in a prelim was a 10.38, which is the same time Ute WR Kyle Fulks ran as a Jr in high school, at the Texas 5A championships. I wonder if there is any thought to reviving / bolstering the Ute track team? We're getting some guys that would not embarrass us, and could potentially compete in the NCAAs. Fulks was going to Baylor as a two-sport athlete, out of high school. That got derailed, and he went to Blinn JC, and then here, as a college Soph, last year. I think my favorite story from these Olympics is going to be this kid from South Africa who just broke the WR in the 400m. His coach is a 74-year-old grandmother. -- Flavius Philostratus, Life of Apollonius 1.35.2. It is astonishing to know that Florence Griffith Joyner still holds the 100m record (10.49). She set that back in 1988. She was so incredibly dominant. She would have been in the mix for a podium finish behind Jesse Owns in the 1936 Olympics. I wish Utah would put together a track team. Having track would pay dividends across the board in other sports. 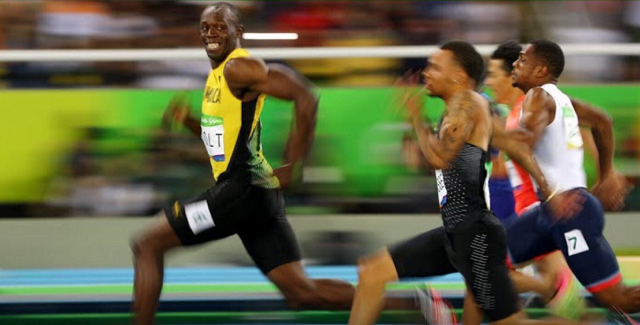 Bolt is fun to watch. I will miss him when he isn't running anymore. He isn't really smiling, but it captures his personality so well. Flo-Jo is my favorite (modern) Olympian. Interestingly, she retired a week after random out-of-competition PED testing was instituted. I understand why swimmers shave their bodies, but why do the divers do it? I think I don't trust volleyball as a great sport. We have 40 year olds competing at very high levels, which doesn't happen in any great sports. Also, is volleyball a top sport in any country? In the US, it gets our third tier athletes. Are there any nations in which volleyball gets the cream of the crop? Volleyball is full of wanna-be basketball players that can't shoot. I've been completely sucked into the volleyball and have really enjoyed watching it. That said quite a few times I see the USA team and think to myself "I could picture any of these guys showing up to play pick up ball at the stake center on Tuesday night" so no it doesn't actually make me think of the great athletes in the world. And basketball is full of guys who can't jump well enough and aren't strategic enough for volleyball. Volleyball is all about reaction time, explosive moves, and being crafty AF. Yeah, volleyball is a great olympic sport. Once every four years, a normal person can take interest in sports like volleyball, pole vaulting, badminton, water polo, etc. Anyone who takes interest in these events more frequently either has a kid on a team or needs to be made aware that there are many superior sports to choose from. I laugh sometimes when Utah fans express hope that we can add a track and field team. I get it - there is hope that a track team will improve the football team. 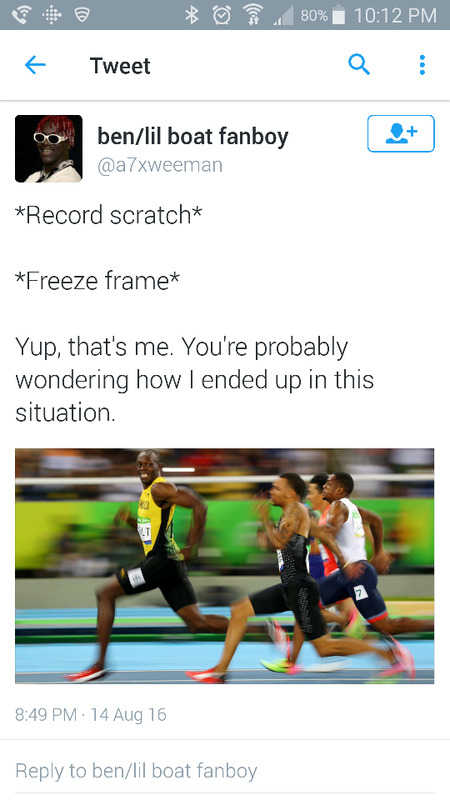 But, man, have you ever been to a track meet? Makes baseball look fast paced. Our local sailor is still in the hunt for a medal in sailing. She is a longshot, but it appears she will make it into the Medal round. FWIW...I played and coached vball at the U (under Coach L) way back when. Had a 35" vertical at 6'1". If I show up today at a stake center for pick-up, in most cases, I would be a super-star -- certainly was one in my younger days. Compare to the Olympians? I am nothing and was nothing. Just nothing. 35" vertical would be nothing to speak of among them. A Standing touch of 10'8" (with one step), even for a 6'1" guy, would be nothing compare to them. Though, I was pretty crafty for an under-sized player. Ball-control and arm-swing speed? I was quite good, but still won't be close. Just as a point of reference. I get sucked into volleyball during every olympics and start to wonder why volleyball isn't at least a second tier professional sport in the US, on par with MLS, the WNBA, maybe even tennis. It's fun to watch and is kind of an everyman type of sport.